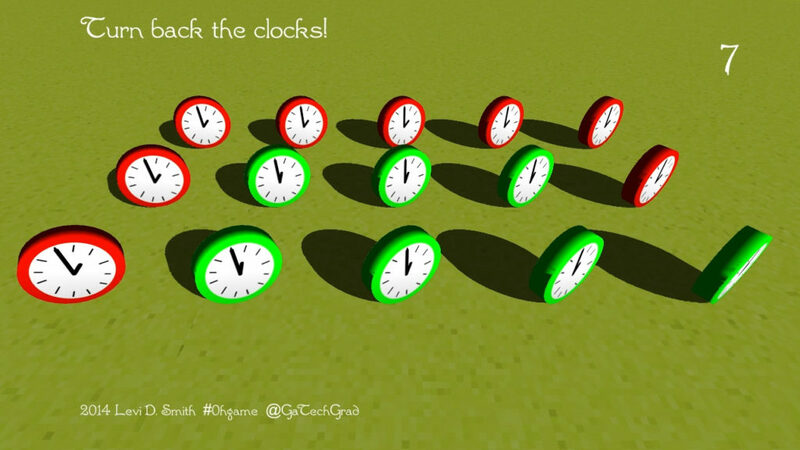 This was a simple game where you press each of the clocks to set the time from 2 o’clock to 1 o’clock. The color of the clock changes from red to green as you press them. The clock reverts back to its original state after a period of time. This game was developed for 0hgame jam 2014.